Have you ever felt doubt about being a writer? Like you write but you are not a “real” writer? Congratulations, you have imposter syndrome and it is a common thing. Claire Bradshaw from Writer’s Edit knows what it is like, and has some great ways to overcome imposter syndrome and own your writing abilities! Have the words ‘I’m not a real writer’ ever crossed your mind? Have you ever felt that your writing skills are inadequate, despite evidence to the contrary? Have you ever achieved success with your writing, only to think, ‘How did I get here/I don’t know what I’m doing/I don’t deserve this’? If any of the above rings true, you may be struggling with something called impostor syndrome. 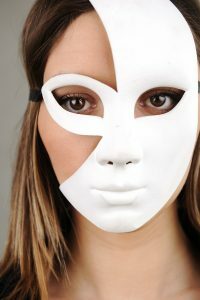 First identified by clinical psychologists Pauline Clance and Suzanne Imes in 1978, impostor syndrome refers to feelings of fraud and self-doubt experienced mainly by high-achieving individuals. These individuals are convinced that they are not really knowledgeable, skilled or talented in their area of expertise – that they have somehow fooled people, scammed their way to success, and will be exposed sooner or later as the fraud they really are.